Our live tilapia fingerlings are bred and raised in an annually inspected disease free hatchery facility. They are GMO free and hormone free as well. The hatchery facility is managed by professional breeders, who have a passion for tilapia genetics, and are dedicated to the continuous improvement of the tilapia strains they manage. The tilapia hatchery employs specialized selective breeding, aggressive culling and advanced genetic diversity management practices to ensure you receive superior fish. The state inspected zero discharge hatchery is a closed loop, bio secured indoor facility that adheres to a very strict disease prevention plan. 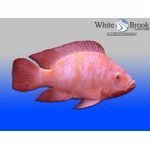 We ship tilapia fingerlings nationwide and cater to a broad clientele, ranging from large scale commercial growers to backyard aquaculture and aquaponics hobbyists. 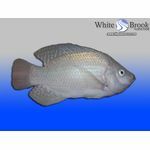 If you have any questions about the tilapia we offer, please feel free to contact us. We're happy to answer any questions you may have. Thanks! 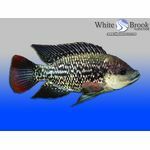 White Brook does not utilize any hormones at our tilapia hatchery and we feed only high quality tilapia feeds that are free of any hormone addition. We produce tilapia fingerlings naturally and safely. Our tilapia are free of artificial genetic modification. Instead we employ specialized selective breeding, aggressive culling and advanced genetic diversity management practices. Our hatchery stock is inspected according to OIE/AFS standards by a fully credentialed Doctor of Veterinary Medicine, and most importantly, disease free. Start off right with healthy stock. The hatchery ships out live tilapia fingerlings weekly. The standard shipping day is Thursday to arrive Friday. During busy times of the year, live tilapia fingerlings are also frequently shipped on Tuesday to arrive Wednesday as well. 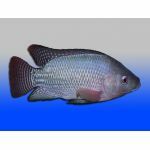 If you have a specific delivery date requirement for your tilapia fingerlings, please contact us to make arrangements. We'll do our best to accommodate special situations. We contact you prior to shipping the tilapia fingerlings. 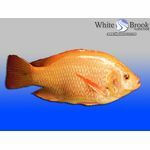 We will not ship the tilapia fingerlings without confirming you will be available to receive the fish. We guarantee live arrival of your fish. 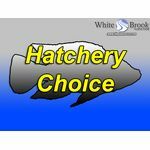 The hatchery takes great care to ensure you receive a quality product, and we want you to be absolutely thrilled with your buying experience. The fish are carefully packed in a special double insulated shipping container with just the right amount of water and pure oxygen and shipped to you via FedEx Overnight shipping (not inferior two or three day services, like USPS Priority or Express). During the winter months, when temperatures are on the low side, a special heat pack is placed in the container just to make sure your fish travel as safely and comfortably as possible. A few extra fish are typically included to take care of that extremely rare occasion when a few of them don't make the trip alive. Usually this just means you get a few extra free fish as mortalities in transit are quite rare. We will replace fish or provide a refund for any shortages due to mortalities in transit. We do however reserve the right to decide which (refund or replacement) is most appropriate/feasible for each situation. Shipping costs are non-refundable, and buyer will be responsible for paying shipping costs for any replacement fish. We may require you to ship dead fish back to us or provide photographic proof of dead fish before we will approve a refund or replacement. You must be present at the delivery location and physically receive the container of fish on the first delivery attempt, as well as promptly place them in a suitable container (fish tank, aquarium, etc.) to qualify for refund or replacement. Please note, we can't be responsible for fish left on front porches or similar things. Sometimes fish will appear to be dead when in the bag when in fact they are not (they could just be stunned from the handling in transit), so regardless of what they look like in the bag, float the bag in your tank of warm (80-84 degree), aerated, conditioned and chlorine free water, carefully following the acclimation directions provided, then release them into the tank. Please note that you must report any losses within 2 hours of the official delivery time. Official delivery time is considered to be the time and date stamp recorded by the courier service (UPS, FedEx, etc.) at time of first delivery attempt. Pictures of any losses must be emailed to sales@alliedaqua.com within two hours of the official delivery time in order to receive the live arrival guarantee. If you have any questions about how you should handle your fish when they arrive, please email us at sales@alliedaqua.com, and we will be glad to help!